Cathy Paroschy Harris joined Chaban in 1984, moving to Thunder Bay for her first job as a dietitian. 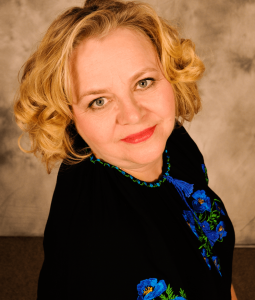 By the 1986/87 dance season, she became Chaban’s Artistic Director, drawing on her experience running Ukrainian dance schools in Guelph (Tyrsa Ukrainian Folkloric Ensemble), her hometown of Welland (Vesnyanka Dancers) and dancing with the St. Catharines Ukrainian Dunai Dancers. In 2000, after 4 years of study, Cathy became certified as Ballet Master Coach/Choreographer from the Ukrainian Academy of Dance in Lviv, Ukraine. She also graduated from Shumka School of Dance (Edmonton) Syllabus Tiers 1 and 2 and has been trained in ballet and Ukrainian dance and folklore at workshops in Canada, the U.S. and Ukraine. As a teacher and choreographer, she has directed hundreds of performances locally, nationally and internationally. 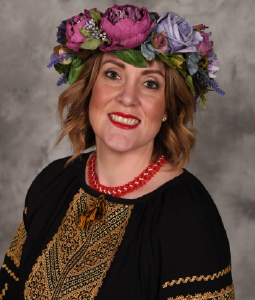 As a dance ambassador, she has taken Ukrainian dance to local schools, to stretch breaks at national conferences, to warm-ups before national fun-runs, to enhance repertoire of vocal ensembles, and to countless seminars, workshops and community events. She is a true advocate of everything Ukrainian. In 2000, Cathy was awarded Thunder Bay’s Citizen of Exceptional Achievement Award for her contribution to arts and culture, and in 2012, she was recognized with the Cultural Supporter Thunder Bay Arts and Heritage Award. 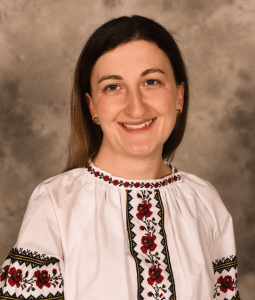 Cathy’s creativity has inspired Chaban’s concert themes and story lines, interjecting tidbits of Ukrainian heritage to share the beauty of Ukrainian dance and culture. 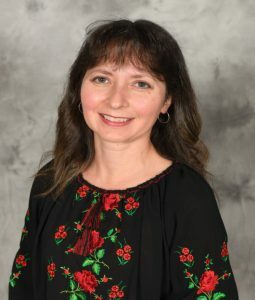 By using folklore from the past, incorporating it into dances with classic repertoire, and using historical and modern influences in history, music, costuming and choreography, Cathy’s vision for Chaban and Ukrainian dance echoes the sentiment of Taras Shevchenko: “Embracing the past…anticipating the future”. 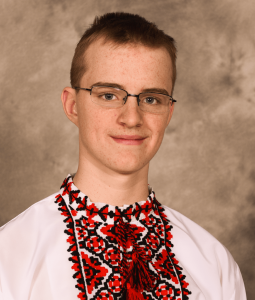 Through the vehicle of dance, Cathy is keen on promoting Ukrainian culture by growing Chaban’s repertory, raising the calibre, and entertaining and sharing all that is beautiful about Ukrainian dance. She takes pride in mentoring and developing the next generations of creative and inspired artists with her passion, knowledge, and energy. 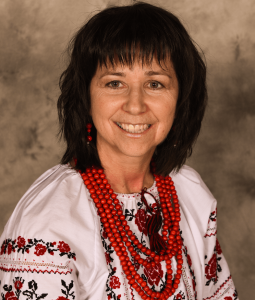 Cathy loves all that Ukrainian dance has to offer including life-long friendships, sense of community, physical fitness, stage-confidence, leadership, travel opportunities, captivated audiences, the adrenaline rush when performing, and of course, strong calf muscles! In the daytime, Cathy works in Prevention and Screening Services at Thunder Bay Regional Health Sciences Centre. She is also a Registered Dietitian. Michelle began dancing with Chaban Ukrainian Dance Group at the age of 3. In 1999, she embarked on her dance-instructor journey as an assistant to her mother, Hanya Cvornjek, Chaban’s Costume Co-Coordinator. In 2011, she took on the role of Assistant Artistic Director. 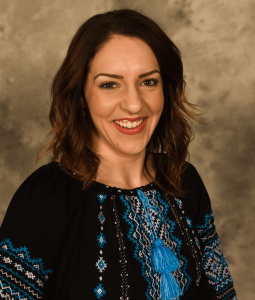 In addition to her involvement with Ukrainian dance, Michelle has also shared her talents as a choreographer for St. Patrick High School drama productions, talent shows, and various local and out of town dance competitions. For her distinguished contribution to Chaban, Michelle, alongside eleven fellow instructors, received the Citizen of Exceptional Achievement Award from the City of Thunder Bay in May 2011. 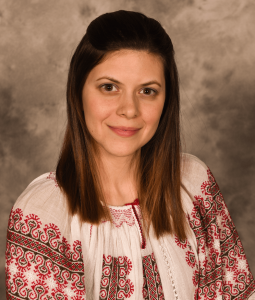 As part of her professional development in Ukrainian dance instruction, Michelle became a certified Instructor of Shumka Dance Syllabus Academy, Tiers 1 and 2. 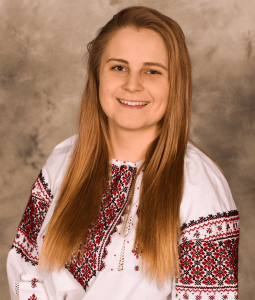 In addition, she twice attended the Ukrainian Dance Instructors Conference in Alberta whose aim is to allow instructors an opportunity to collaborate and discuss resources and techniques of Ukrainian dance. Michelle is committed to preserving Ukrainian culture and heritage, something that is a fundamentally inherent part of her life. 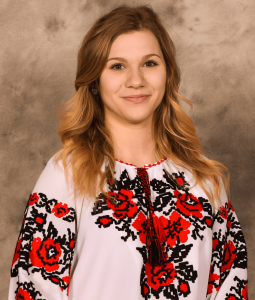 Through instruction and performance, she is able to keep the spirit of Ukrainian dance alive while sharing her passion with fellow dancers, students and audiences alike. Michelle is currently employed with the Thunder Bay Catholic District School Board as an English teacher at St. Patrick High School. Michelle strives to be a life-long learner, continuously participating in professional development courses to broaden and enhance her knowledge of the profession. Steve began dancing with Chaban in 1995, and from 1997 to 2000, he served as Assistant Artistic Director and was head instructor of a number of the children’s groups. In 2000, he left Thunder Bay to pursue a PhD in Eastern European history at the University of Toronto, and after teaching at California State University in Fullerton, California, returned to Thunder Bay in 2013 to take up a teaching position as an assistant professor in the History Department at Lakehead University. One of the first things Steve did when he returned to Thunder Bay was to rejoin Chaban. In 2013-2014, he danced with the adult Ukercize group, and since the 2014-2015 season has been dancing once again with Chaban’s Senior Ensemble. 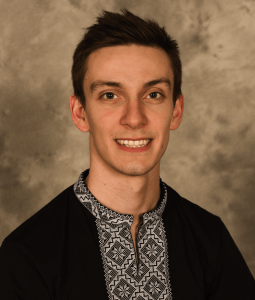 Steve has been an assistant teacher to some of the children’s groups since his return to Chaban and is currently an assistant instructor for the Ukercize group, head instructor of the Adult Male Recreational group, and beginning in the 2017-2018 dance season is returning to serve as an Assistant Artistic Director. 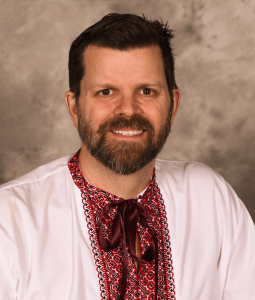 In 2015, Steve became a certified Tier 1 instructor of the Shumka Dance Syllabus Academy.